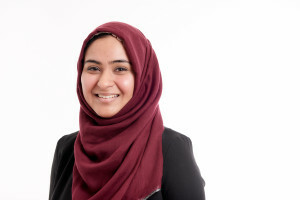 Maryam graduated from the University of Reading with an Upper Second Class Hons degree in Law in 2011 with and achieved a Commendation in the Legal Practice Course from the University of Law. Maryam has always held a passion and enthusiasm for human rights and using law for the public interest. She has had significant voluntary experience in the sector. She trained as an advisor for the Citizens Advice Burea, she volunteered at Communicare Community Legal Clinic, as a Peer educator at the British Red Cross, and with the charity Zacchaeus 2000 Trust providing support and advocacy for vulnerable clients contesting DWP decisions in the SSAT; she also volunteered for the “Migrant and Refugee Children’s Legal Unit”. She currently volunteers as part of the Youth Advisory Panel for Business in the Community, and has consulted on projects including with the Minister for Work and Pensions, JobCentre+, and leading companies from the energy and engineering sector. Maryam is a graduate from the Young Muslim Leadership Programme delivered by the University of Oxford, which provided her with exposure to senior civil servants, the former attorney general, and other influential figures from the media industry and third sector. At a younger age, Maryam held the role of Regional Cabinet Member of the UK Youth Parliament. In her spare time, Maryam is learning Arabic, and enjoys horse-riding and travelling. The aim of the intended project is to allow the expertise of specialist lawyers working in private practice with years’ experience in legal aid work to continue to work in the social welfare and human rights field in the increasingly hostile funding climate. Going forward, it is to ensure that the provision of social welfare law can continue and improve taking into account the lack of suppliers and likely future reductions in legal aid funding. Currently many practices are adapting by decreasing the range of work being undertaken. In the long term, it is hard to see that this will be a sustainable model. The project will involve setting up a Community Interest Company and Charitable arm to enable funds to be raised from funders and individuals to enable cases to be taken and progressed. Currently we are looking at working with NGOs around destitution to empower them to do more of the pre action work, leaving the solicitors to concentrate on the litigation. We are also looking at crowd funding in relation to specific cases and projects.